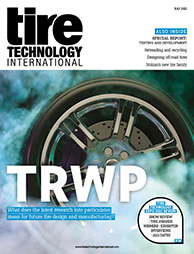 A highlight on Sick’s stand at Tire Technology Expo 2019 is the Tire Lector Array, which reliably identifies raw and finished tires regardless of their size, position and alignment of the barcode, as well as on different conveyor systems. The modular system consists of high-resolution image-based code readers. It is capable of a throughput of up to several thousand tires per shift, and is compatible for use in all standard applications in conveyor technology. It can read from above and below and read tires transported on hooks. Sick will also present RFID read/write devices, which identify tires and the materials used in the manufacture, with end-to-end traceability. They also help to ensure that the right tires are delivered on the right day. Finally, the company will exhibit the Ranger3 sensor, which detects gaps, overlaps, and dog-eared and open splices. 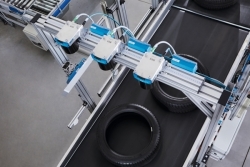 This system automates quality control during the tire production process, achieving a considerable reduction in rejection rate. The sensor automatically and reliably distinguishes between correct and incorrect splices on dark materials such as rubber.